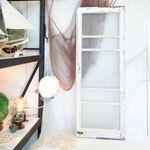 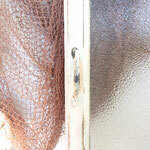 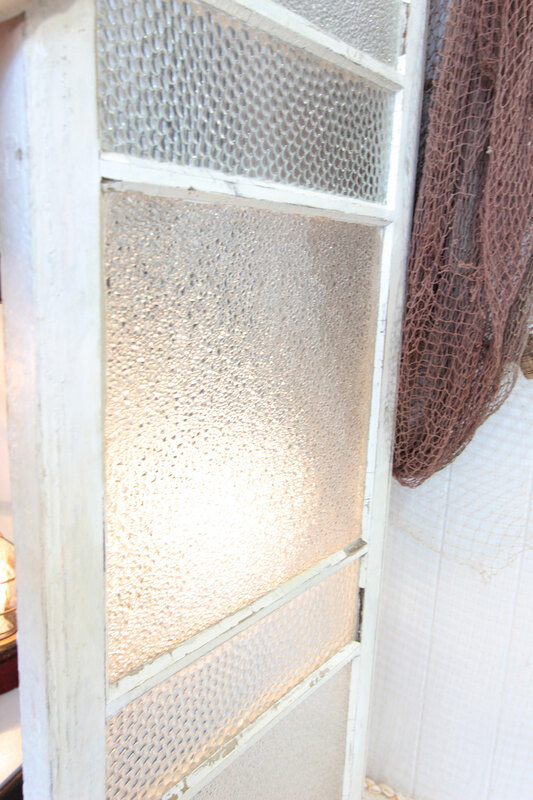 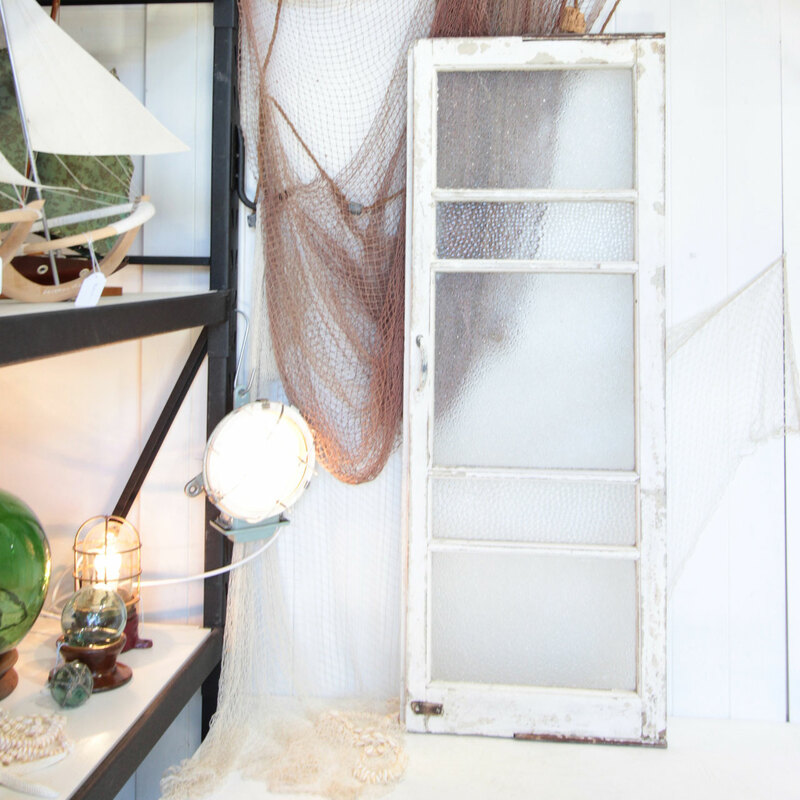 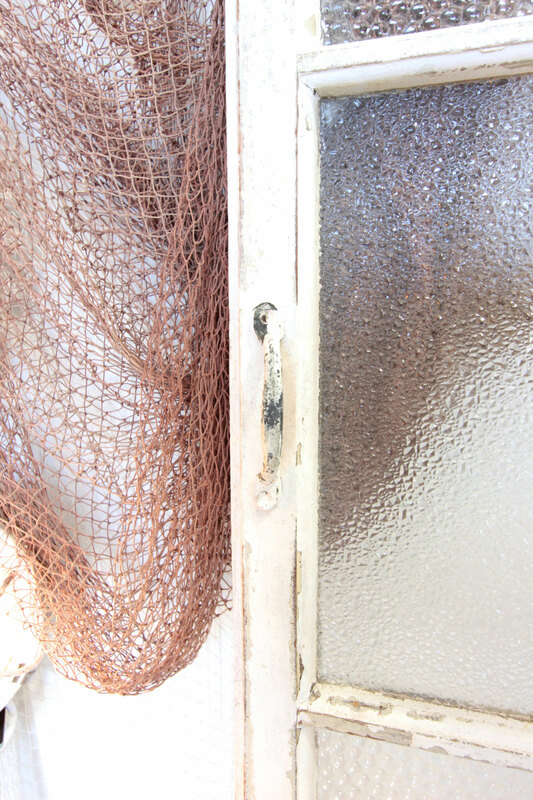 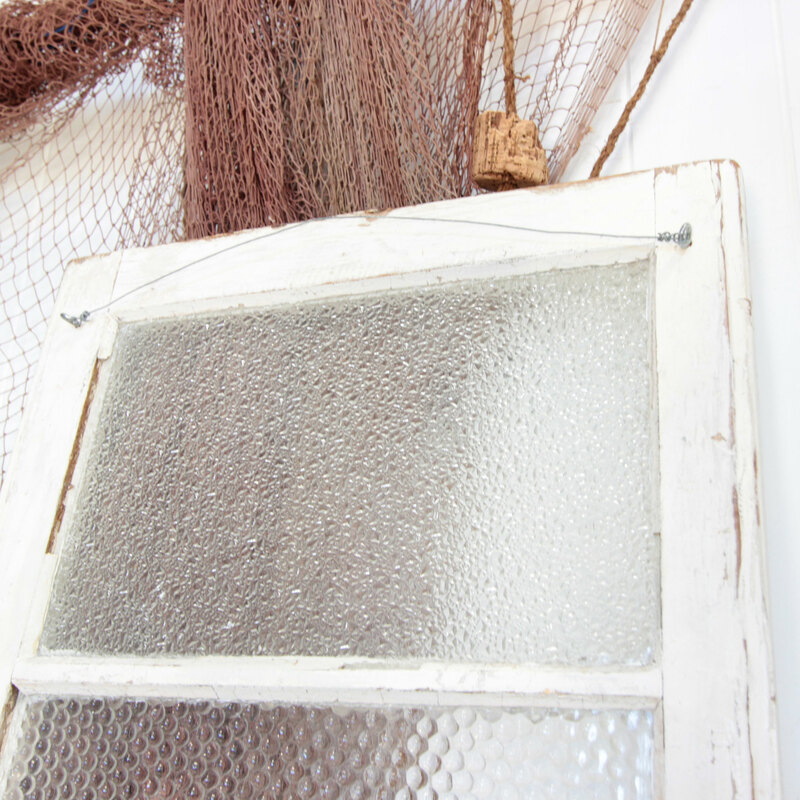 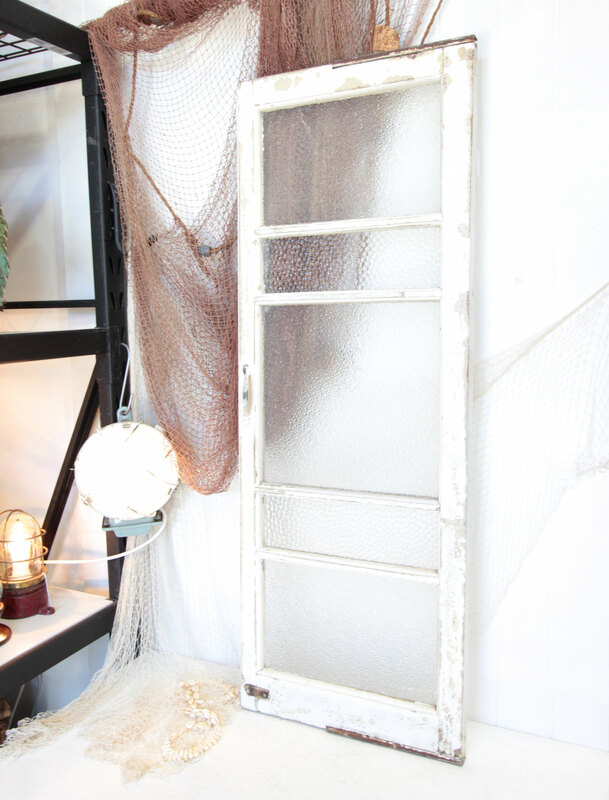 This old wooden window still has it's original textures glass panes, and fabulous chipped white paint. 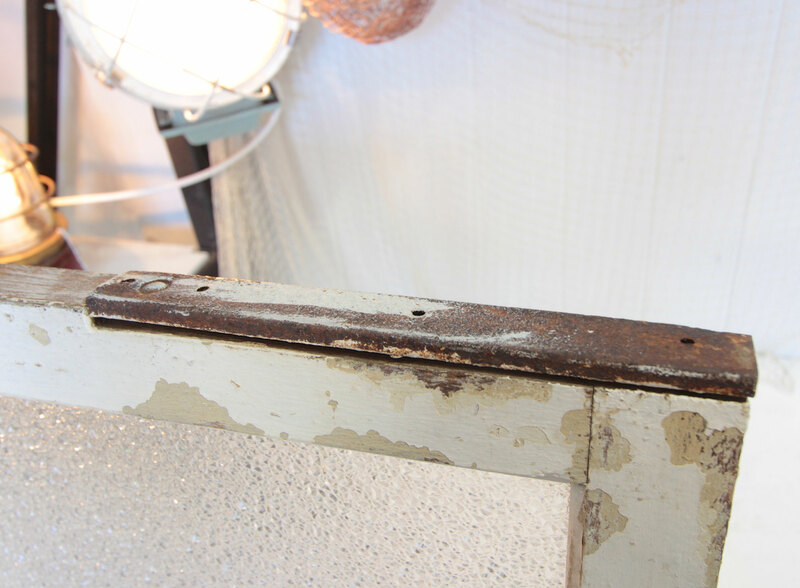 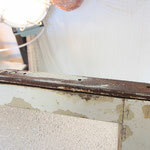 Most likely from an old Queenslander, it is still fitted with the rusty metal brackets that it was hung with. 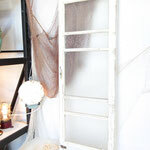 A fabulous piece to hang in an entry way, or above a sideboard. 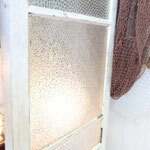 Keep it white, or sand it back to show the timber beneath. Due to the fragile nature of this piece it is available for pick up from the Noosa warehouse only.